Hurry Up And Make This Rhubarb, Strawberry, Hazelnut Cake With Vanilla Bean Whipped Cream! Such a pretty cake to look at! Just don’t look too long or else you may become dehydrated from salivating so much. 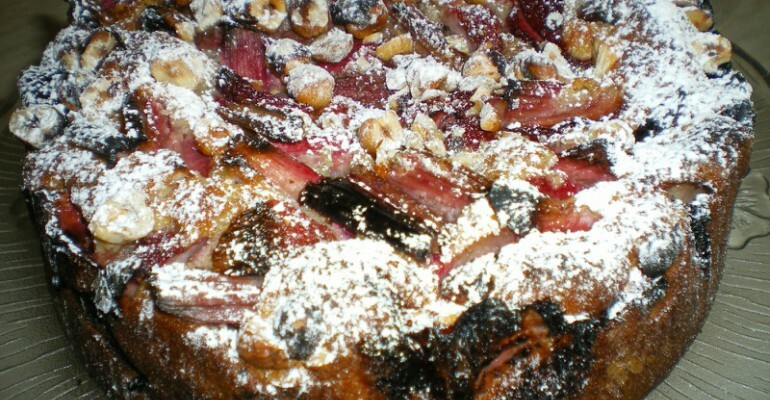 Seriously, folks, this yummy rhubarb, strawberry, and hazelnut cake is one of the finest desserts I’ve ever come across. And don’t even get me started on the homemade vanilla bean whipped cream. Wowser! Talk about a heavenly dessert. Anyone can make this cake if you have a little patience and perseverance. I plan to serve this yummy cake during our holiday dinner that is coming up in just a few short weeks. I know everyone will adore it. I am so excited to have found this yummy recipe over on the Cate Can Cook blog. If you are curious about the ingredients and instructions please hop on over to the next page for all the yummy details. Recipe and image courtesy of Cate Can Cook. Quick Tip: Roasted hazelnuts work best in this recipe.